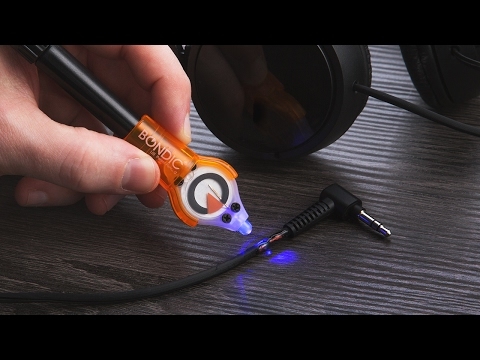 Replacement UV LED light for the Bondic kit. Bondic is a liquid plastic welder that can be used to bond, fill in, or even build plastic, metal, and wood parts. Repair everything from toys to eyeglasses to jewelry. It won’t harden until the supplied ultraviolet light is applied, allowing precise application. Strong and durable, Bondic can even be layered to fill in 3D sections, and can be sanded and painted after it hardens. Dimensions: 1.5" x 1" x 0.5"
My husband has not used this product yet. We usually don’t notice how many household items are tough to fix . . . until one breaks. A broken part, even if it’s small, can render an entire device unusable. That makes too much of what we own, essentially, disposable. But now you can repair that clip or bracket—and almost anything else—with Bondic, a liquid plastic welder. Bondic isn’t a glue; it’s much better. 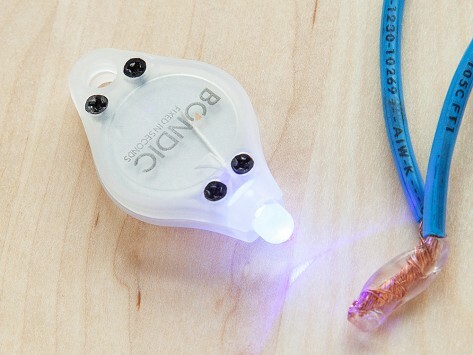 First, Bondic dries by using the attached UV light, which hardens the substance in seconds. But even better, it won’t dry UNTIL you use the light. So you can figure out exactly how you want to repair a crack or bolster a weak area and only apply the light when you’re ready. No need to apply pressure, either. If Bondic reminds you of the adhesives dentists use, it’s not a coincidence. In fact, one of Bondic’s founders is a DDS, and he realized that the fast-drying substance had many more uses beyond tooth repair. Rebuild entire missing areas by layering Bondic. Or fill in a molded area. This wonder substance can even be sanded and painted after it hardens. Fix toys, eyeglasses, jewelry and more. Bondic works on wood, metal, and even fabric. Use it for craft projects or to enhance existing products, like adding a GoPro mount to a bicycle helmet. Add this liquid bonder to your toolbox, and your handiness will know no bounds.